Tracey Hampson - Century 21 Troop Real Estate - Tracey Hampson - Century 21 Troop Real Estate can help you find the perfect home of your dreams and can also help you sell your home for top value and save time. Tracey Hampson - Century 21 Troop Real Estate can help you find the perfect home of your dreams and can also help you sell your home for top value and save time. Tracey Hampson - Century 21 Troop Real Estate is your one stop shop for Santa Clarita Real Estate, Santa Clarita The City, Santa Clarita Schools and the Santa Clarita Communities themselves. With excellent service always her first priority, Tracey Hampson will work hand in hand with home buyers or sellers from start to finish, with on-point answers and personal recommendations. 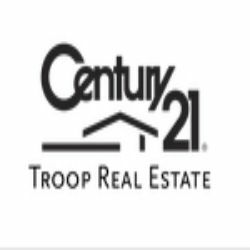 If you are ready to find your dream home or sell your current property, give Tracey Hampson - Century 21 Troop Real Estate a call at (661) 993-6124 today!